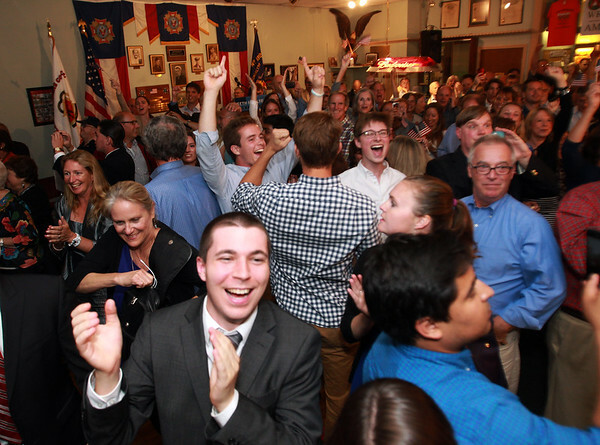 Supporters of Democratic nominee Seth Moulton gathered at the VFW in Salem, erupt in cheers after incumbent Congressman John Tierney conceded on Tuesday evening in the Primary Election. DAVID LE/Staff photo. 9/9/14.